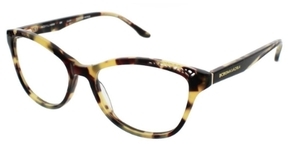 Another member of the BCBG Max Azria eyeglass family is the Catarina eyeglass model, available in color patterns ranging from tortoise laminate to black laminate and they are stylish, produced in a plastic material, and they offer the same benefits of durability and the finest craftsmanship that all BCBG Max Azria eyeglasses offer. BCBG Max Azria was founded in 1989 and is the life long vision of Max Azria, its founder, designer, and chief executive officer. He started out designing women's wear in Paris and Los Angeles, where he decided he would pursue the dream of launching a line of design targeted for the modern woman. With this idea BCBG Max Azria began and was born. Azria's creativity combined with his keen sense of business is the secret to the company's great success and when he launched BCBG Max Azria, he would redefine the designer category with his high quality, trend setting clothing at contemporary prices. Azria was inducted as a member into the Council of fashion designers of America in 1998. Max's wife, Lubov Azria would join the company as a designer in 1991 and in 1996 and was named creative director of the company. Her influence has been significant in making BCBG Max Azria a leading design house with collections ranging from eveningwear, cocktail dresses, sportswear separates, handbags, small leather goods, and licensed outerwear, footwear, hats, and swimwear.Lubov would also be inducted into the Council of fashion designers of America (CFDA) in 2010. Max and Lubov would launch the BCBG Max Azria runway collection during the New York fashion week in the autumn of 1996 and in February 2006, they would debut their exclusive runway designer collection they would name M\ax Azria. Their visionary and sophisticated designs would quickly catch the attention of celebrities like Angelina Jolie, Rachel Bilson, and Ava Mendes. In 1998 the BCBG Max Azria group acquired the renowned Hervé Léger fashion house and would relaunch the label in 2007 with their own designs. Celebrities like Kate Winslet, Victoria Beckham, Alicia Keys, and Catherine Zeta Jones would quickly embrace these new designs by Max. Today, there are more than 570 BCBG MAX AZRIA retail boutiques globally, each serving as a showcase for women's ready-to-wear and accessories collections. There are more than 175 BCBG MAX AZRIA boutiques located in the U.S. and BCBG MAX AZRIA boutiques can also be found in Europe, Canada, Venezuela, Chile, Portugal, Greece, Bahrain, Japan, Singapore, Malaysia, Taiwan, China, Hong Kong, and Russia along with other countries. The collections by Max and Lyubov can also be found in specialty stores and in-store shops in the major department stores globally, which includes Saks 5th Ave., Bergdorf Goodman, Bloomingdale's, Macy's Lord and Taylor, Harvey Nichols UK, Hong Kong's Lane Crawford, Taiwan's Mitsukoshi, and also Takashimaya of Singapore. 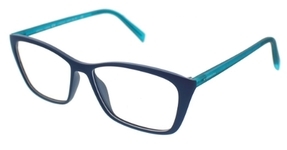 BCBG Max Azria is recognized within the eyewear industry as one of its most successful brands. There is a reason for this, and it relates to BCBG´s stand on simplicity and quality. The models presented by this eyewear maker concentrate on production based on quality materials and on outstanding craftsmanship. 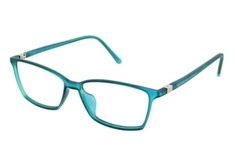 BCBG eyeglasses provide a solution to the challenge of looking cool and fashionable with new technologies. 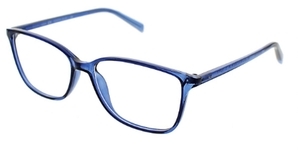 The company’s eyeglasses are designed to achieve style and comfort. Fortunately for supporters of the brand, BCBG is capable of presenting a vast range of options from upscale styles to classic looks. Recognizing BCBG´s superior craftsmanship is one thing, but witnessing it first hand is another. If one has a look at the model BCBG Ambrosia, the simplicity and uniqueness of the product becomes evident. 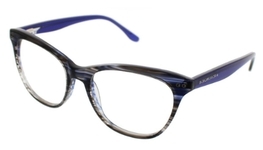 The model offers the illusion of having a plastic frame, yet it is metallic and strong. 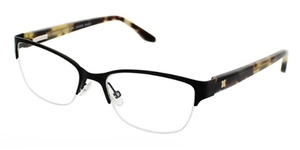 The Ambrosia model comes in black, brown, burgundy and wine colors and gives a touch of diversity to the eyewear industry. 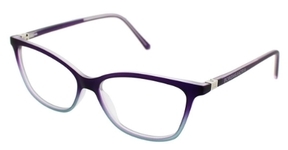 BCBG also offers the Catarina eyeglasses model, which provides the individual with colors ranging from tortoise laminate to black laminate. This model is stylish, it is produced in plastic material, and it enjoys of the benefits of durability and the touch of BCBG´s superior craftsmanship.